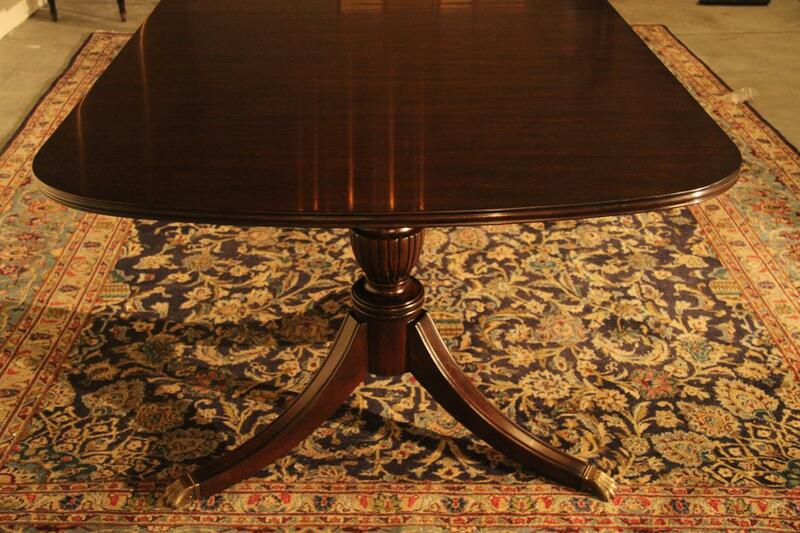 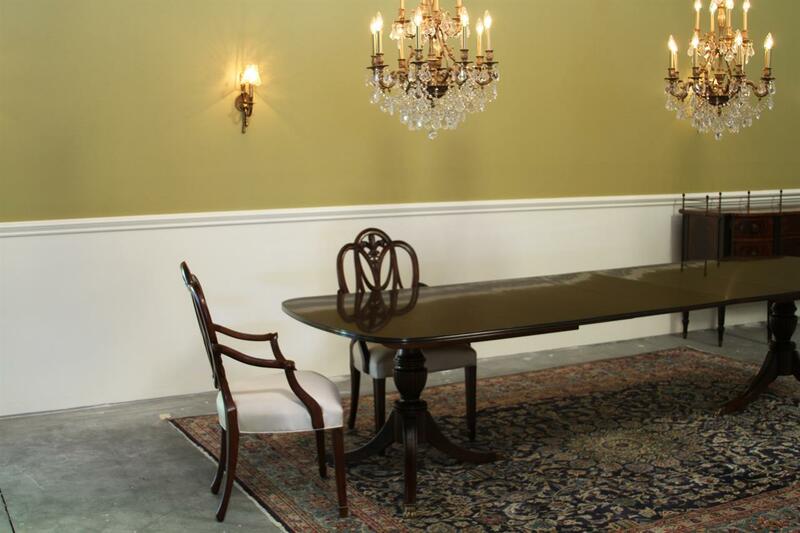 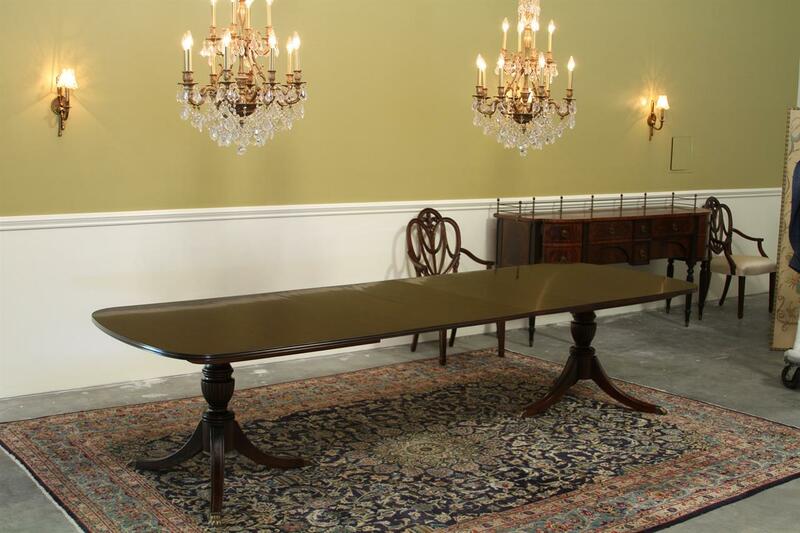 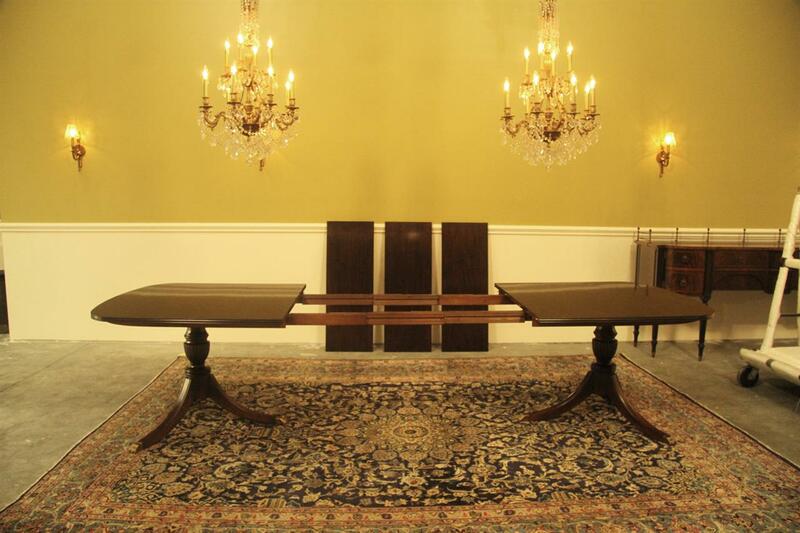 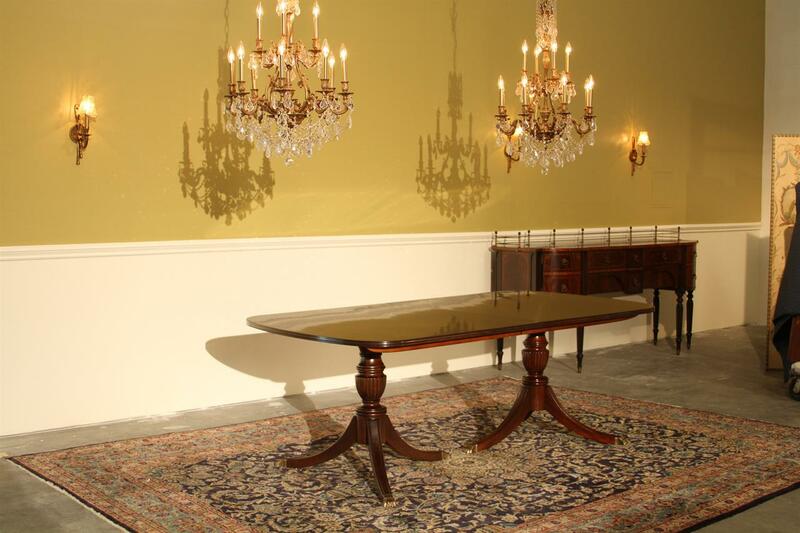 Description: American made solid mahogany double pedestal dining table. 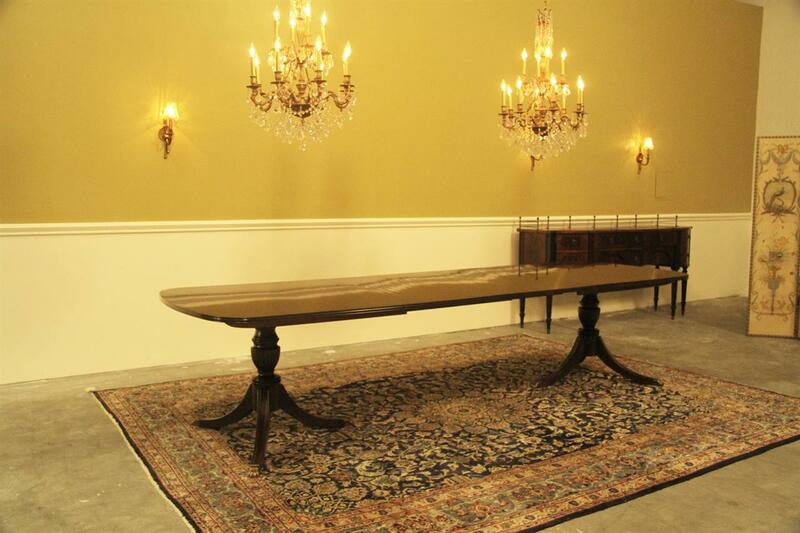 This table is 7 feet without leaves and opens up to 11 feet with three 16 inch leaves. 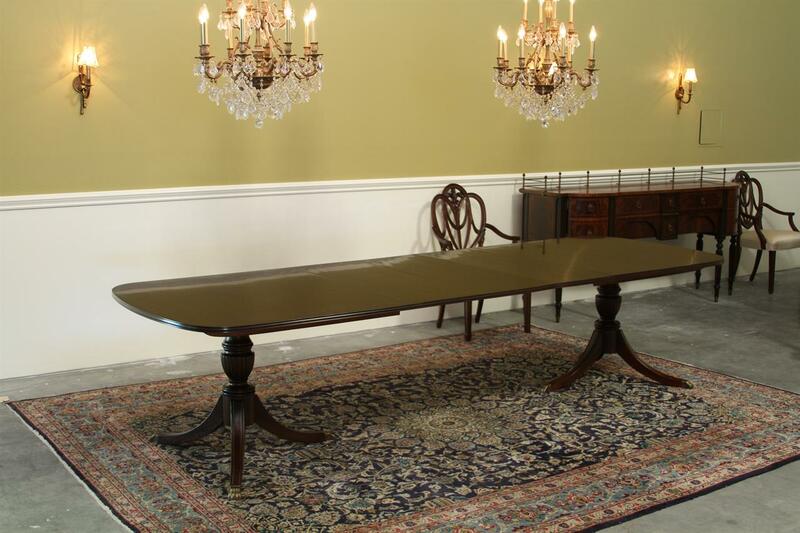 Total length is 132 inches when fuilly opened and this table can comfortably seat 12 people. 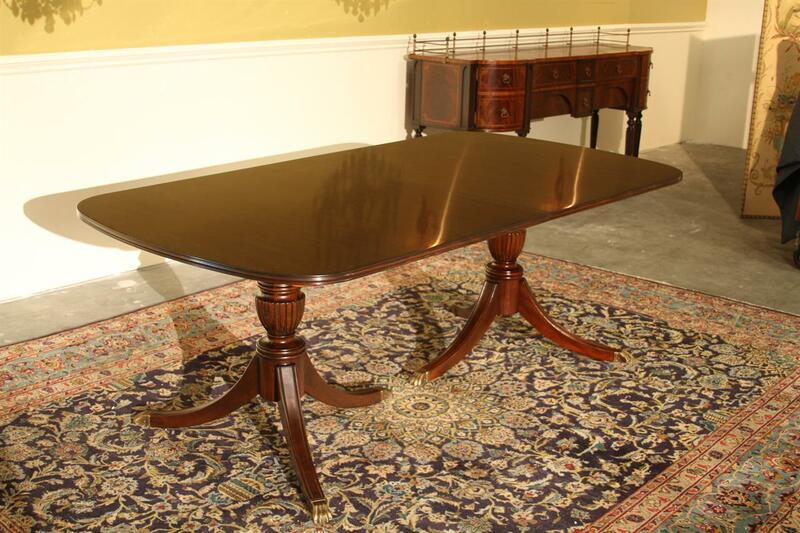 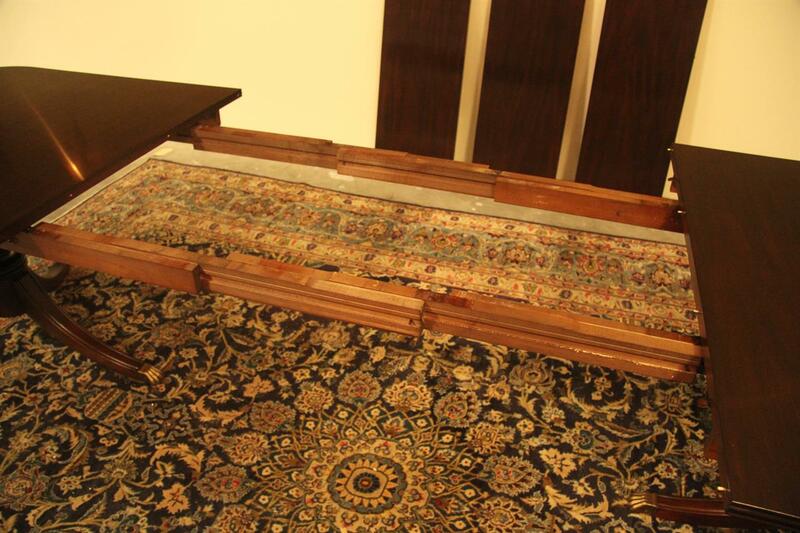 The table has a relatively narrow design at 44 inches deep which we can also customize. 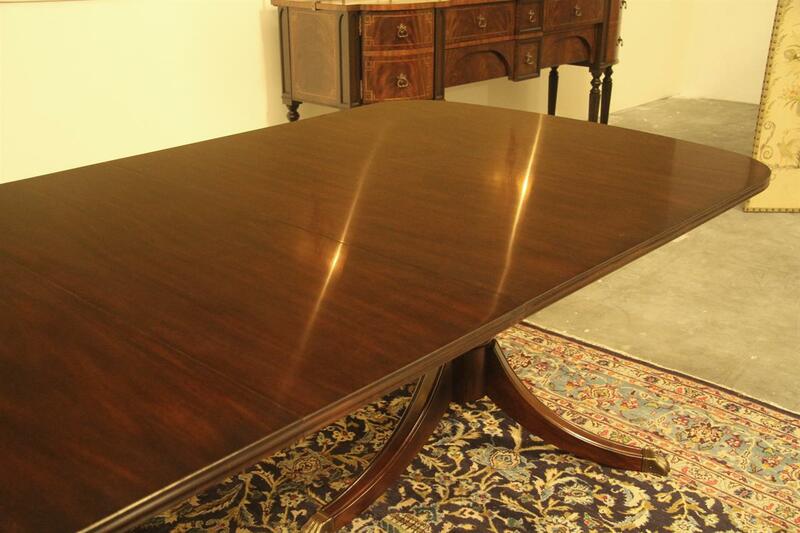 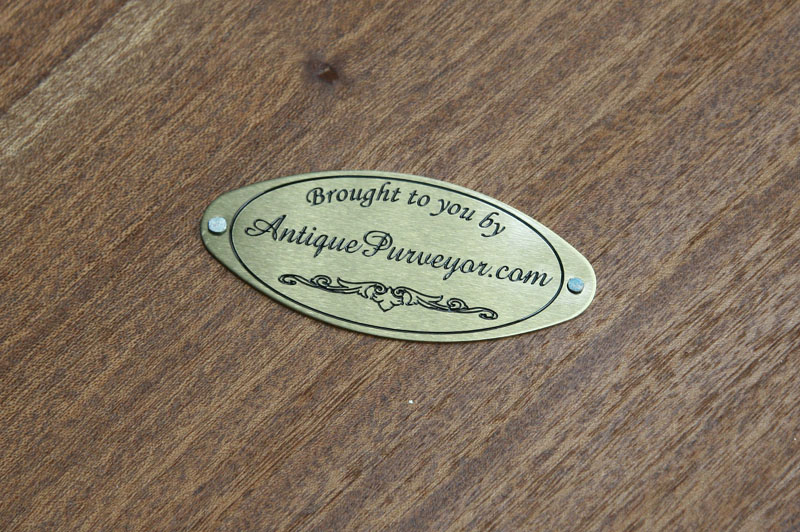 Table top is flat as glass in a rich brown mahogany color. 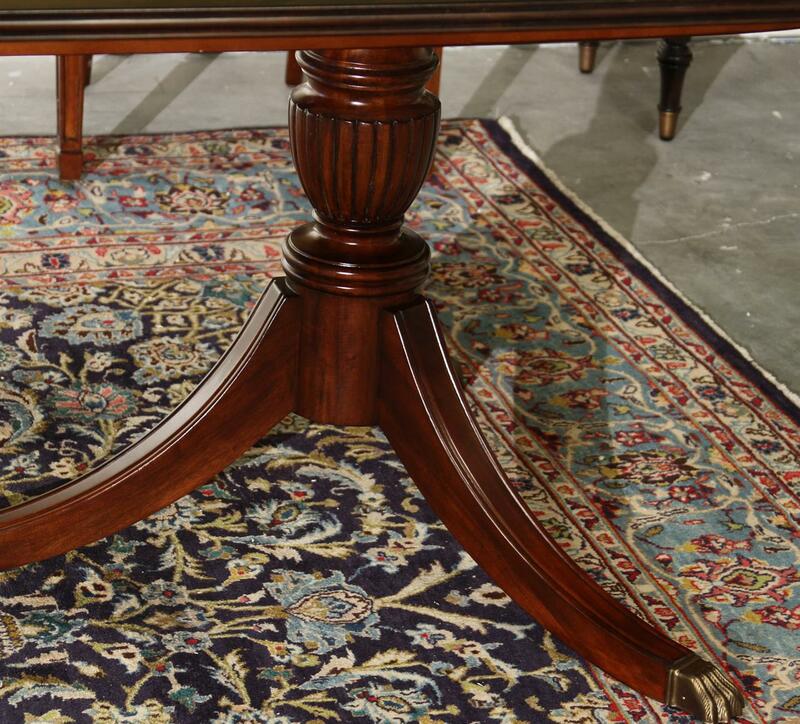 Finish can be customized. 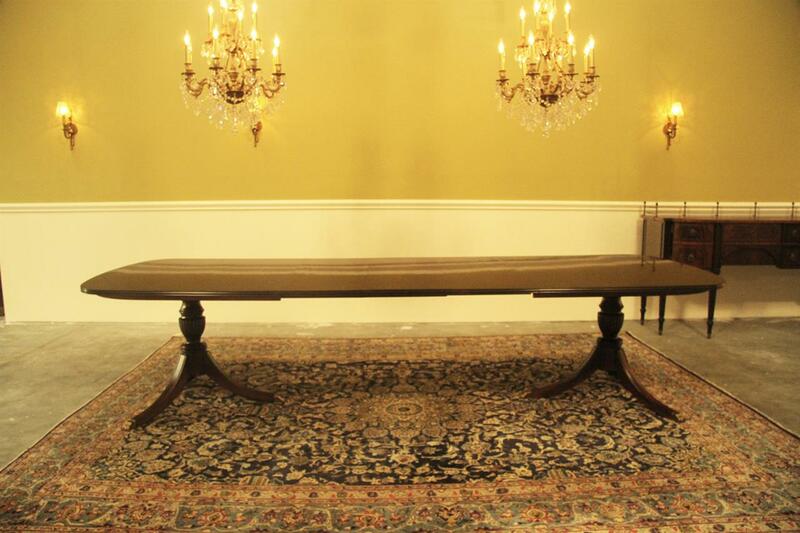 This table is bench made by a fabulous craftsman and the finish is spectacular. 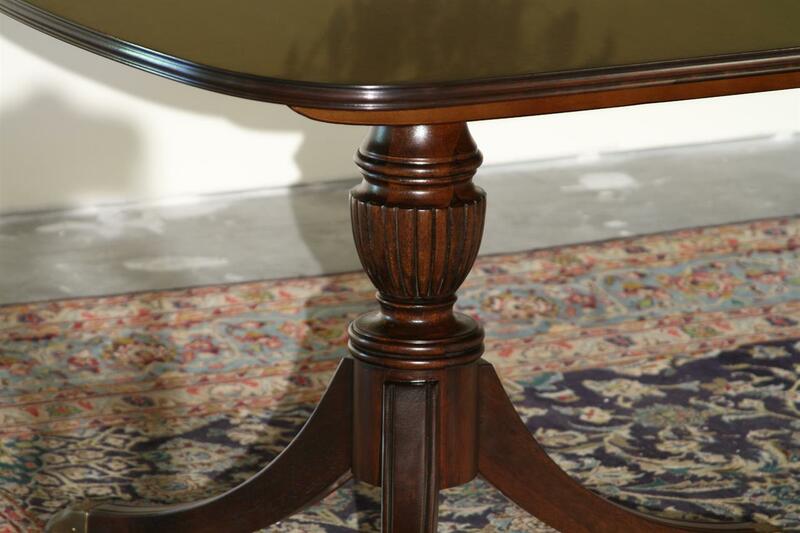 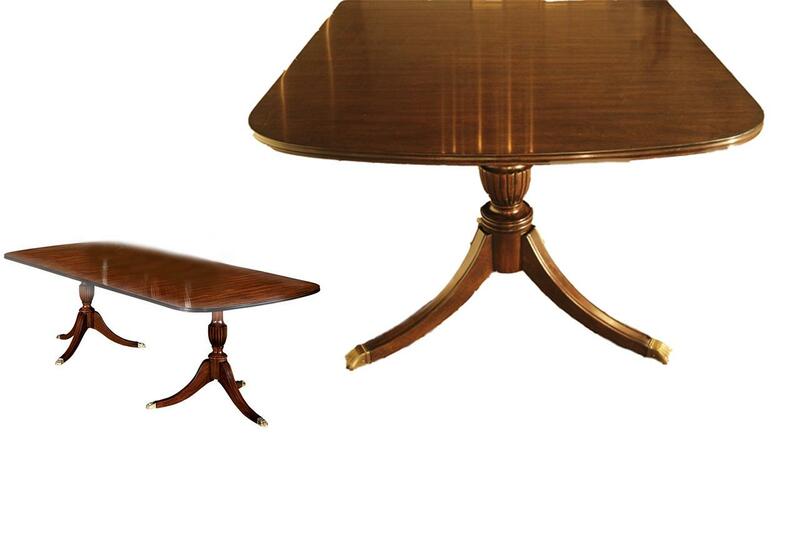 To keep costs down, we paired this table with an imported, high end solid mahogany saber leg pedestal. 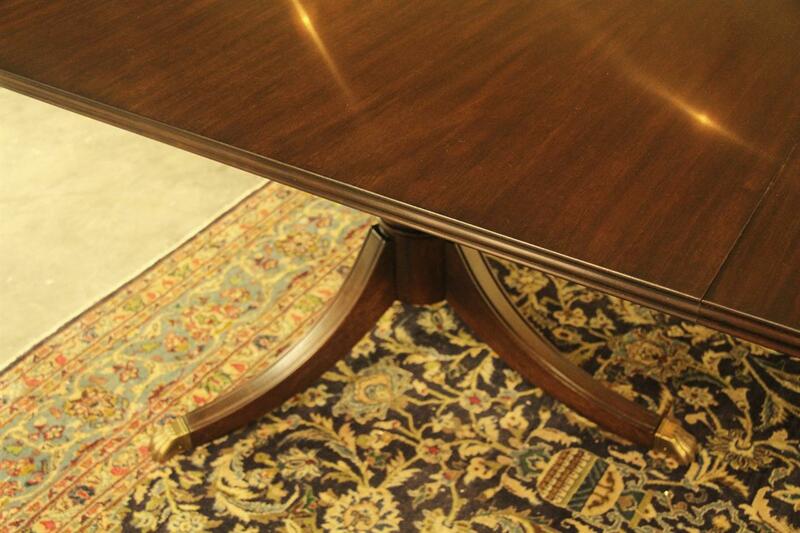 Table can be buffed to shine like a mirror but it comes standard with a satin sheen. 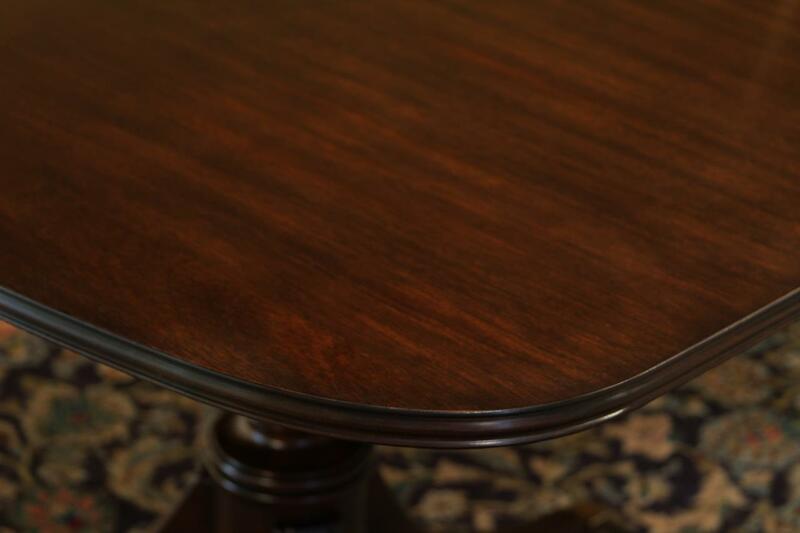 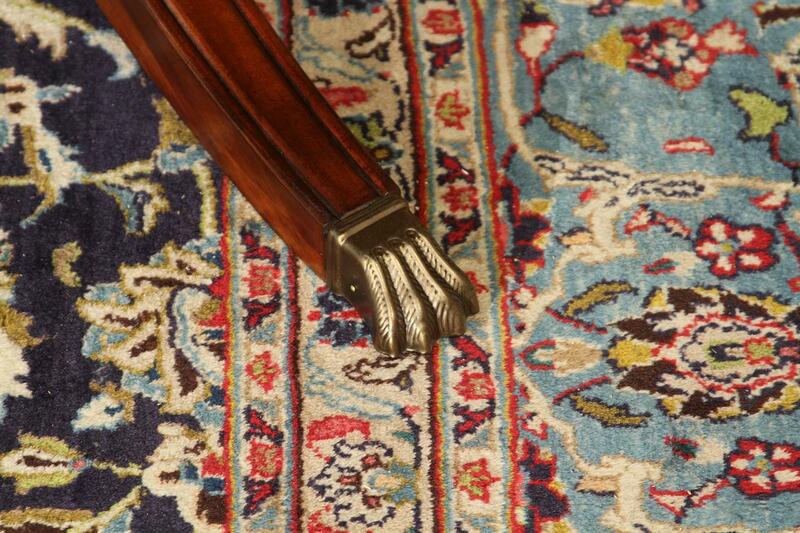 Table is pictured with its standard satin sheen. 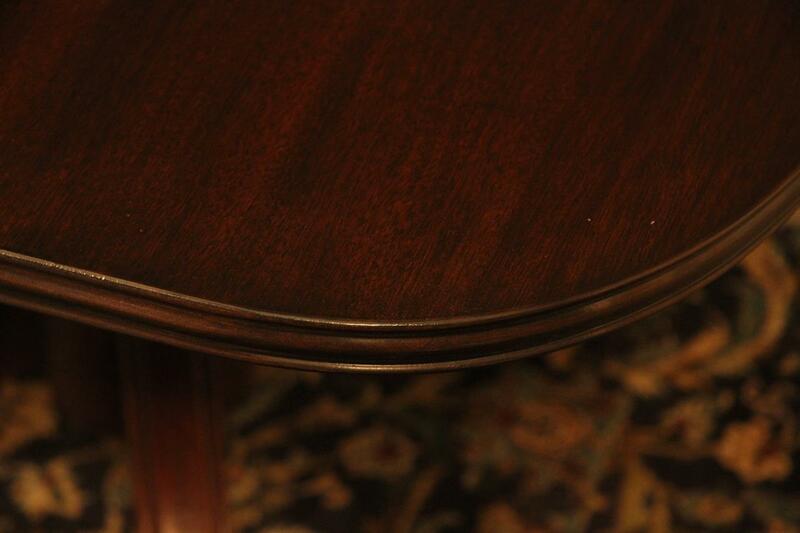 A satin sheen has more gloss than a matte sheen which is very flat. 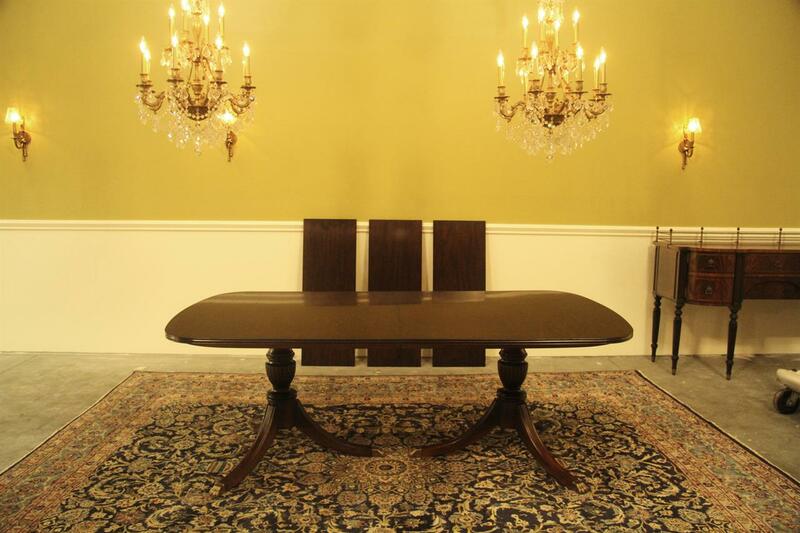 Includes three 16 inch leaves which opens the table to 132 inches and seats 12 comfortable.